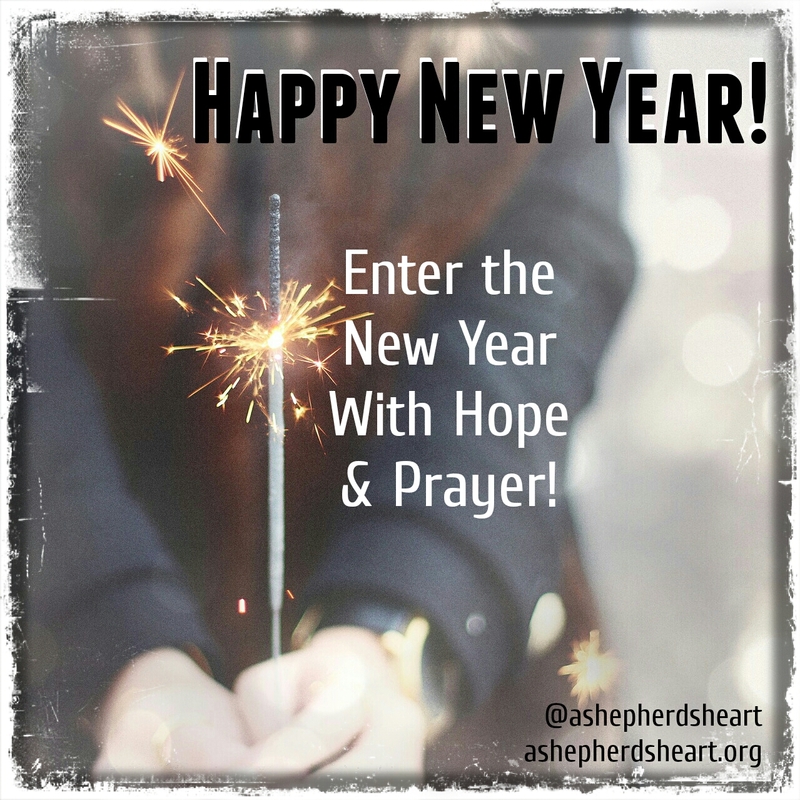 A Shepherd's Heart: Happy New Year - 2017! Happy New Year! As we close out 2016 and begin a new year, I wanted to share a few brief thoughts with you. 1. I'm thankful that because of God's love and grace, each day is a a gift of a new beginning and an opportunity to make a fresh start. As you approach 2017 may you look at it as another gift and opportunity to begin fresh and forge the best path forward with God's help while putting the mistakes of the past behind you! Begin again my friend, begin again! 2. As you make your goals and plans for the New Year, remember The One Who goes before you! Trust Him, communicate with Him and include Him in "your" plans. You'll be more successful in all your ways if you do so. 3. There is a phrase in Romans 5 (5:5 NASB, but read it in context of course, read Romans 5) that says "hope does not disappoint" or in some versions it says "hope does not put us to shame". No matter what you face in the New Year don't lose hope... Keep hoping in the Lord as He's with you every step of the way! Enter the New Year with hope and prayer! God's hope does not disappoint and you will not be put you to shame! Thank you for your prayers and encouragement in 2016! Its been an honor to serve you and I look forward to prayerfully serving you in 2017 as we seek to live life on purpose together! You're prayers for wisdom, direction and God's provision for these ministry endeavors are always appreciated as I seek out what God's will is for me according to His calling on my life. Again, Happy New Year! Keep your hope in the Lord alive! I'm praying for God's best for you and please don't hesitate to let me know how I can serve you in the New Year!